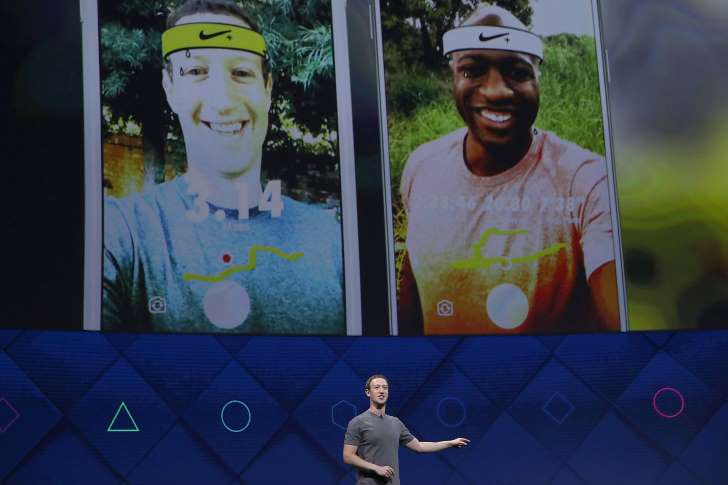 It's no secret that Mark Zuckerberg is pinning Facebook's future prospects on augmented reality — technology that overlays digital imagery onto the real world, like Snapchat's signature camera filters. At this year's F8 conference, taking place this week, Zuckerberg doubled down on the company's ambitious 10-year master plan, which was first revealed in 2016. On this timeline, Facebook expects to turn artificial intelligence, ubiquitous internet connectivity, and virtual and augmented reality into viable parts of its business over the next decade. And to accelerate the rise of augmented reality, a big part of the plan, Zuckerberg unveiled the Camera Effects platform; basically a set of tools for outside developers to build their own augmented reality apps that you can access from the existing Facebook app's camera, theoretically opening the door for Facebook to host the next "Pokémon Go" phenomenon. And while this announcement seems pretty innocuous, make no mistake: Facebook is, once again, putting itself into direct competition with Google and Apple, trying to create yet another parallel universe of apps and tools that don't rely on the smartphones' own marketplaces. As The New York Times notes, Zuckerberg has long been disappointed that it never built a credible smartphone operating system of its own. This time, though, Facebook is also declaring war on pretty much everyone else in the tech industry, too. While it'll take at least a decade to fully play out, the stuff Facebook is talking about today is just one more milestone on the slow march towards the death of the smartphone, and the rise of even weirder and wilder futures. 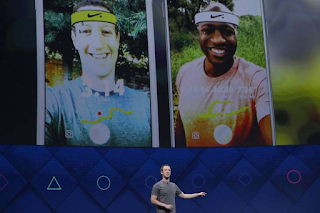 Zuckerberg tipped his hand, just a little bit, during Tuesday's Facebook F8 keynote. 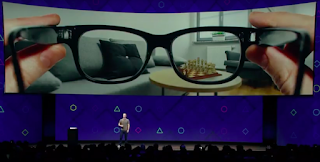 During a demo of the company's eventual vision for augmented reality, in the form of a pair of easy-to-wear, standard-looking glasses, he showed how you could have a virtual "screen" sitting in your living room, bigger than your biggest TV. "We don't need a physical TV. We can buy a $1 app 'TV' and put it on the wall and watch it," Zuckerberg told USA Today ahead of his keynote. "It's actually pretty amazing when you think about how much of the physical stuff we have doesn't need to be physical." Which makes sense, assuming you're into the idea of wearing a computer on your face (and you're okay with Facebook intermediating everything you see and hear, glitches and all). But it's not just TVs. This same philosophy could extend to smartphones, smartwatches, tablets, fitness trackers, or basically anything else that has a screen, or that relies on a screen, to work. Zuckerberg even showed off a street art installation that's just a blank wall until you wave the Facebook camera app over it, revealing a mural. For Microsoft, which already dipped its toe in the area with the HoloLens holographic goggles, this is a foregone conclusion. 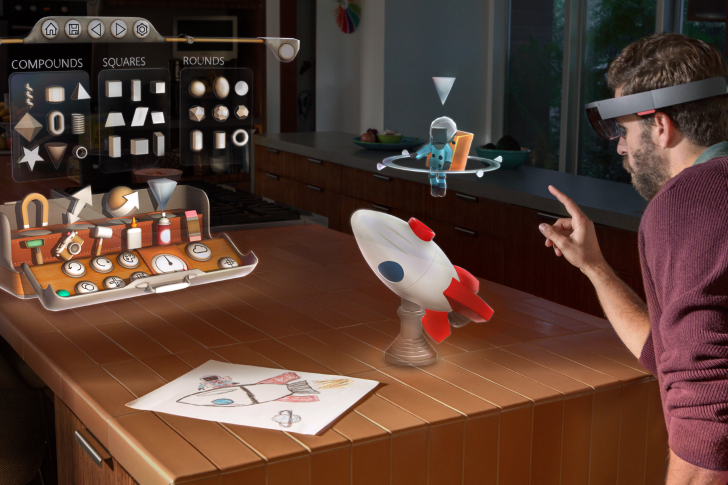 HoloLens boss Alex Kipman recently called the demise of the smartphone the "natural conclusion" of augmented reality and its associated technologies. The problem, naturally, is that a huge chunk of the world's economy hinges on the production of phones, and TVs, and tablets, and all of those other things that Facebook thinks could be replaced with this technology. Again, even Zuckerberg acknowledges that it's a long road ahead. That said, this Camera Effects platform, should it succeed in attracting a bunch of users, will go down as a savvy move. The apps that get built for the Facebook Camera today are going to wind up as the very first versions of the apps you'll use with those eventual glasses. In the short term, Facebook's play for augmented reality is going to look a lot like competition with Snapchat, which, in a very meaningful way, it is. Facebook needs developer and user love, and so needs to keep offering fun and funny tools to keep people from moving away from using its apps. In the long term, though, this is really Facebook versus everybody, ushering in an age of a brand new kind of computing. And pretty much every tech company out there is going to get caught in the crossfire, as Apple, Google, Microsoft, and more rush out their own responses to this extremely existential, but still meaningful, threat.